Although he became de jure king of England and Scotland on the beheading of his father, Charles I, Charles II had been in exile for 14 years when, following the Treaty of Breda (which made clear his relationship with Parliament, the Church and the army), he returned to take the throne, aged 30, in 1660. His father had been a lavish supporter of the arts and had amassed an enormous collection of works of art that was dispersed on his execution: 1,570 paintings and 400 pieces of classical sculpture, the subject of an exhibition next year at London’s Royal Academy of Arts (27 January-15 April 2018). This month, the Queen’s Gallery presents Charles II: Art & Power, part of its series of historical surveys of royal collectors and patrons (previous shows covered George III and Queen Charlotte in 2004 and Victoria and Albert in 2010). The exhibition will include around 220 works acquired by the so-called Merrie Monarch through a variety of means. 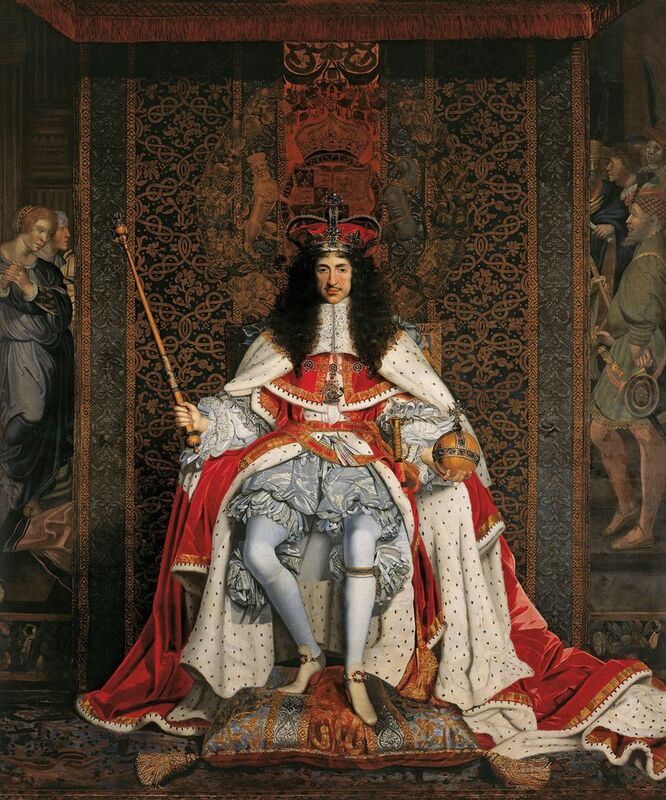 At the Restoration, Charles II was in no position, financially or politically, to attempt to equal his father’s enterprise. Nor was he especially interested in the visual arts, except for status and propaganda purposes, common enough in monarchs of the early modern period, especially architecture (he championed Christopher Wren). His coronation was the most lavish since that of Elizabeth I, with newly wrought regalia (crown, orb, sceptre) and altar plate. Nevertheless, Charles did acquire works of art. Although he was in exile when the treaty was signed, he placed a large order with the dealer William Frizell that included Pieter Bruegel the Elder’s Massacre of the Innocents (around 1565-67) and Georges de la Tour’s Saint Jerome (around 1621-23). At the same time, the states of Holland and West Friesland presented him with a large number of paintings (the so-called “Dutch Gift”) to strengthen an alliance between themselves and the king, and to prevent him from leaning towards their bitter enemy, Louis XIV, who had sheltered him. These works include Veronese’s The Mystic Marriage of St Catherine of Alexandria (around 1562-69), Giulio Romano’s Portrait of Margherita Paleologo (around 1531), Lorenzo Lotto’s Andrea Odoni (1527) and Titian’s Madonna and Child in a Landscape with Tobias and the Angel (around 1530-40). On his accession, Charles II restored the lands and titles of the Dukes of Norfolk to Thomas Howard (1628-77), the 16th Earl of Arundel, who, in gratitude, gave Charles the collection of drawings amassed by his grandfather, the “Collector Earl” (1586-1646). In this gift were works by Leonardo da Vinci, both Holbeins, Raphael, Parmigianino, Wenceslaus Hollar and Dürer. Finally, Article 16 of the Act of Indemnity and Oblivion of 1660 bound subjects to return those works of art that had been seized following Charles I’s execution. Orazio Gentileschi’s A Sibyl (around 1635-38) was among the returns, but most were irrecoverable, as they had been sold to foreign buyers. The Restoration court was heavily influenced by that of Louis XIV. Charles had the royal apartments in Whitehall Palace fitted out with silver furniture and Gobelins tapestries, like those he had known in France. Around 1674, he commissioned Antonio Verrio (who had worked for Charles Le Brun at Versailles) to decorate the newly built state apartments at Windsor Castle. He appointed the portraitist Peter Lely to be the official “Limner and Picture Drawer” and to create—the closest thing to the monarch’s personal taste we can know—the “Windsor Beauties”, a series of three-quarter-length portraits of the most beautiful women of the day.